Highly sensitive touch,Eat chicken quickly! Moving aiming and shooting at the same time. 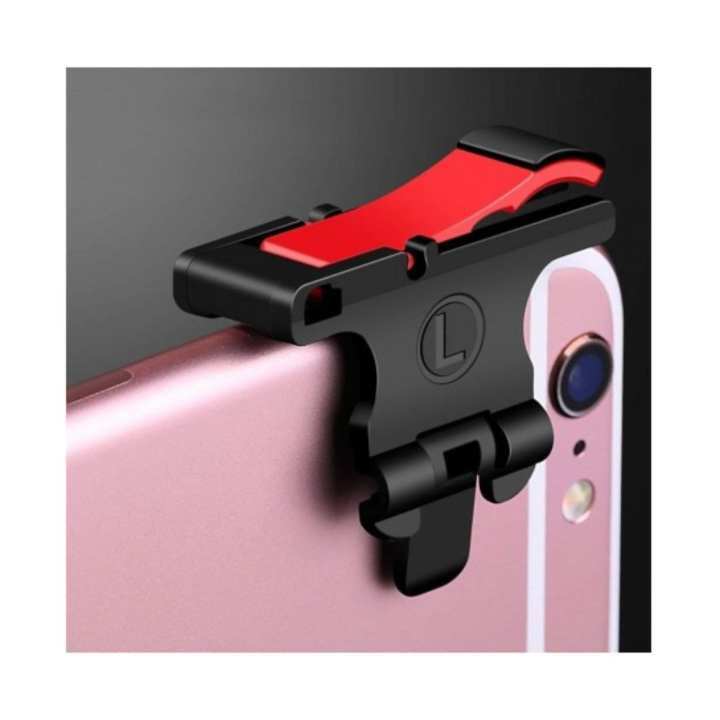 By using metal sensor to connect your phone, the Mobile Game Controller are more sensitive than ordinary game controllers, reduce the reaction time so that you can shoot the enemies quickly.The Smartphone PUBG Game Triggers Support almost games on Android or IOS phone, Perfectly compatible for shooting games including PUBG, Fortnite,Rules of Survival, Knives Out, Survivor Royale, Critical Ops, etc. Really Sorry sir kbhi kbhar faulty piece ajata hai kbhi while shipment product damage hojati hai product ky sath contact number hoga ap us per call kr ky apna item replace krwalen sorry for inconvenience. It's smooth and good in use but the quality according to its price is not good or I say not fare. Hi Thanks for your valuable feedback sir can you tell what should be the price of this product according to you.? as we think we are selling it at very low price. 1 Pair Ke 195 + Shipping Charges kitne Hon ge sialkot ke liye ?? Total Kar ke btaiye ga or kitne days mein deliver ho jaye ga ?